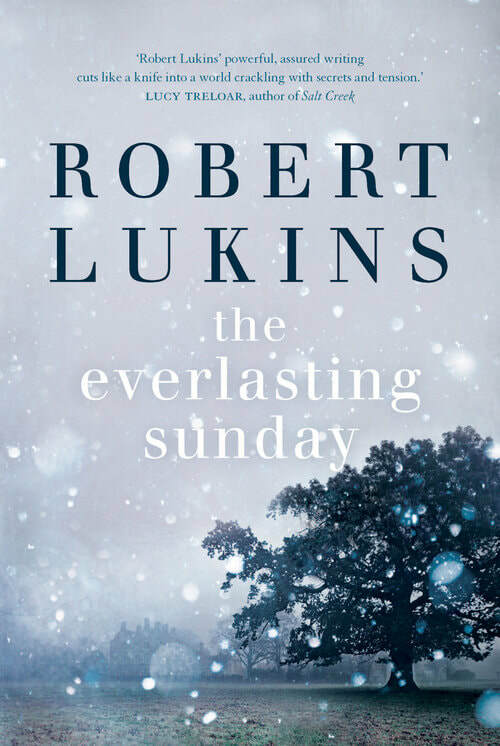 REVIEW: At first I thought Robert Lukins’ The Everlasting Sunday was going to be a homage to Golding’s Lord of the Flies – a home for delinquent boys cut off from the world by the worst snowstorm on record. Cue all hell breaking loose. But instead I found myself reading a book more akin to Ishiguro’s The Remains of the Day. The Manor is a home for boys ‘found by trouble’. We enter with seventeen year old Radford who has been unceremoniously dropped off by his uncle as the snowstorm worsens. We don’t know what he has done to deserve being sent away, we just know he is apprehensive and determined not to bend to the will of others. Books about young men, especially those whom society rejects, tend toward an unrelenting brutality that never quite rings true to me. In The Everlasting Sunday, the boys are more rounded. They are vulnerable. They wear their hearts on their sleeves. They crave affection. Saying that, Lukins doesn’t shy away from their faults. The adolescent boys can also be extremely violent and cruel. Lukins depicts these outbursts, and their aftermaths, unflinchingly but they are always part of a larger whole. The boys are not savages. The bonds they form can and often do lead to affection and even to empathy. Outside the Manor weeks of heavy snow isolate the boys from society, but it also provides a dangerous playground. Lukins even gives Winter a role to play, a dark reminder of our inherent fragility. And Radford and the boys flirt with oblivion, intentionally and unintentionally.